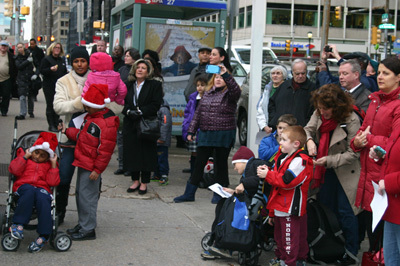 In a public witness of faith in Philadelphia, Auxiliary Bishop John McIntyre led a prayer liturgy in the 18th annual blessing of the Nativity scene and all those who view it during Advent and the Christmas season, on Wednesday, Dec. 17 at Love Park in Philadelphia. 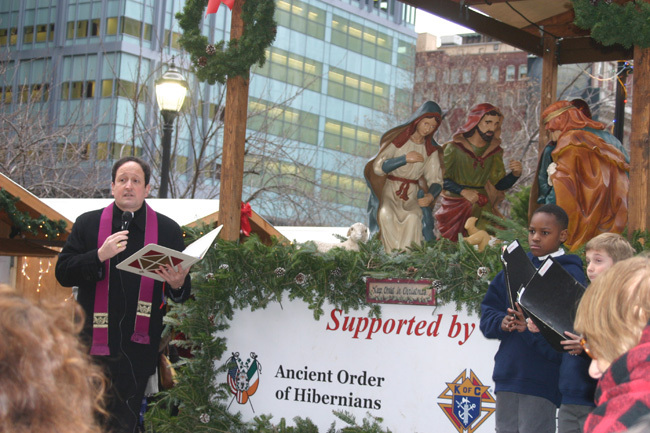 The creche and organization of the liturgy were sponsored by the Knights of Columbus and the Ancient Order of Hibernians. 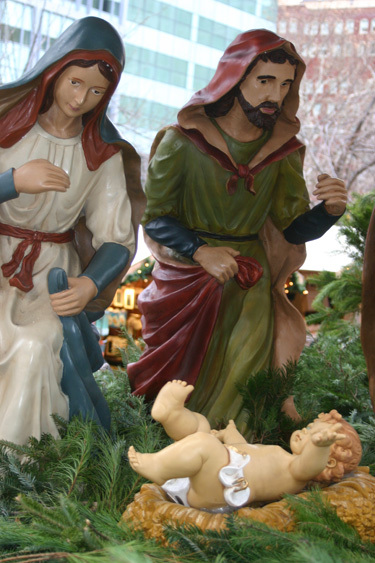 The creche is located along 16th Street at the foot of the Christmas Village vendor stalls erected during the season at Love Park. 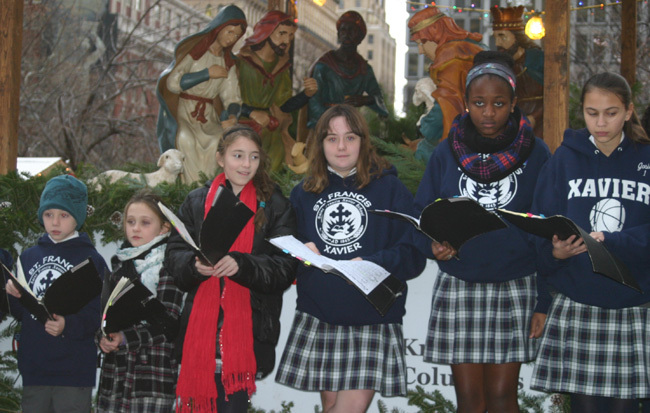 The Children’s Choir of St. Francis Xavier Parish in nearby Fairmount led Christmas carols for the two dozen guests and passersby along the busy sidewalk. Also participating in the liturgy was Meghan Cokeley, director of the archdiocesan Office for the New Evangelization.